Extreme weather in 2017 severely affected the areas around Big Sur and northern San Luis Obispo County, resulting in road closures on Pacific Coast Highway. 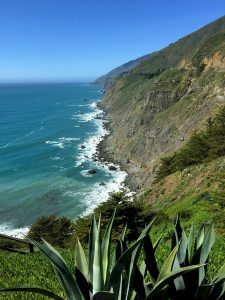 Thanks to the efforts of Caltrans, the roadwork is officially completed, and the quintessential California experience along the most scenic coastlines in the world is now fully accessible. To celebrate this momentous occasion as well as this iconic drive’s 84 years, Visit California – in partnership with Caltrans, Monterey County Convention & Visitors Bureau and Visit SLO CAL – will host an epic “Dream Drive” on August 9, 2018. The Dream Drive will assemble a convoy of classic automobiles from 1934 to 2018 for a caravan drive down the coast, from Monterey County to San Luis Obispo County. The Dream Drive will kick off with a ceremonial pace car-led lap around the famed WeatherTech Raceway Laguna Seca before heading down the coast. The event will conclude with a once-in-a-lifetime Golden Hour dinner and car rally in the shadow of Morro Rock. We’ll see you on the highway!